When you need lawn fertilization in Allentown, you need Green Turf. Your lawn can make or break your home’s curb appeal, and if your lawn is looking patchy, brown, or overall worse for the wear, it’s time to find a solution with Green Turf. At Green Turf, we offer a one-of-a-kind, six-step fertilization process that will keep your lawn green, healthy and beautiful. In addition to making your lawn look spectacular, our fertilization program is a year-long process that helps to insulate your lawn from the changing temperatures, as well as seasonal weeds and pests. What is a perfect lawn, anyway? A perfect lawn is often in the eye of the beholder (homeowner) and depends on what you want the end result to be, what the already established lawn environment is, and the overall sense of outdoor aesthetics. When you combine these aspects, you get the quintessential perfect lawn! Not only is a seasonal lawn routine vital to the health and aesthetics of your yard, but implementing our aeration and overseeding services is a proactive way to guarantee a vibrant, fresh lawn in the spring! 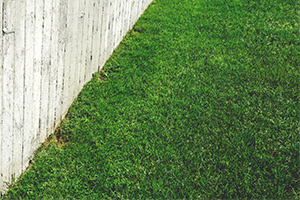 Partner with us for the best lawn treatment services in Allentown! 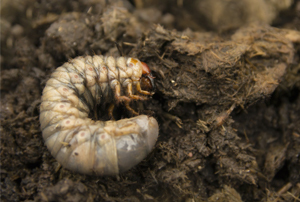 Find out below more about our unique 6-step fertilization program! Each and every step of our six-step process is designed to keep your lawn as healthy and beautiful as possible. During the early spring and summer, we’ll apply fertilizer to your lawn that will help to promote healthy cell development and dark green grass, and we’ll also apply effective weed control products that will prevent broadleaf weeds and crabgrass from emerging. During the early fall, our fertilization products are designed to help with root development, as well as weed control. And finally, during the late fall, our experts will apply a fertilizer designed to winterize your lawn, keeping it safe and disease-free all winter long. Early Spring – This is the season to really nourish and promote the cell development of the grass. We introduce a slow-release fertilizer that is balanced to help your grass come in at an even rate, avoiding excessive growth in the spring that often spurs crabgrass and broadleaf weeds. Early Summer – Both weed and pre-emergent crabgrass control is imparted in this season to encourage a beautiful and healthy green lawn. Summer – A non-burning balanced, and slow-release fertilizer is used in the summer with low-nitrogen to target and control weeds. Early Fall – Fall is about establishing a healthy and fortified root system with our balanced fertilizer. We also apply broadleaf weed control to maintain its health and pristine looks. Fall – As the roots get stronger and better established, a balanced fertilizer is applied to fortify your yard and keep weeds at bay — the 6-step program is almost complete! Late Fall – Once temperatures drop below 43 degrees F, we’ll apply a fertilizer for the winterization of your grass. This lawn treatment helps keep diseases away for a healthy return in the spring. 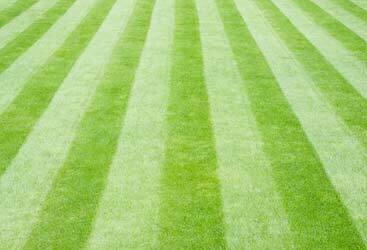 Contact us today for lawn fertilization and weed control in Allentown. If your lawn isn’t looking as healthy or as beautiful as you’d like it to be, it’s time to turn to the experts at Green Turf. 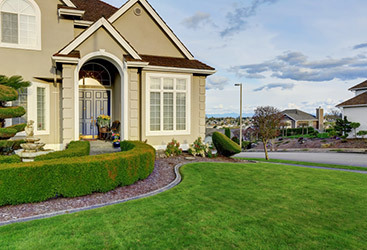 With more than 10 years of experience under our belts, our team has what it takes to provide your lawn with the efficient and effective fertilization solution it needs. Rest assured that you’re in the best possible hands by choosing Green Turf for all of your lawn fertilization needs in Allentown.